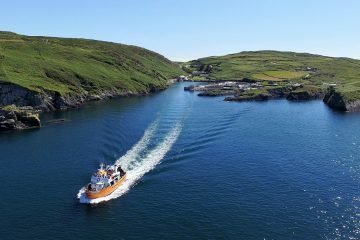 Tory Island – nine miles off the coast of County Donegal, you’ll find one of the most remote – and certainly the most intriguing – of the Irish islands: Tory. 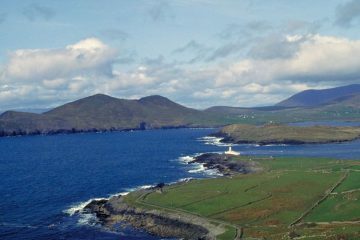 The most northwesterly island on the Wild Atlantic Way, picturesque Tory Island is steeped in history, mythology and folklore, and today is home to a community of artists inspired by its wild and rugged beauty. What’s more, in a nod back to ancient times, this Gaeltacht (Irish-speaking) community of just over 130 people is led by their very own king, a fellow islander elected by the people. 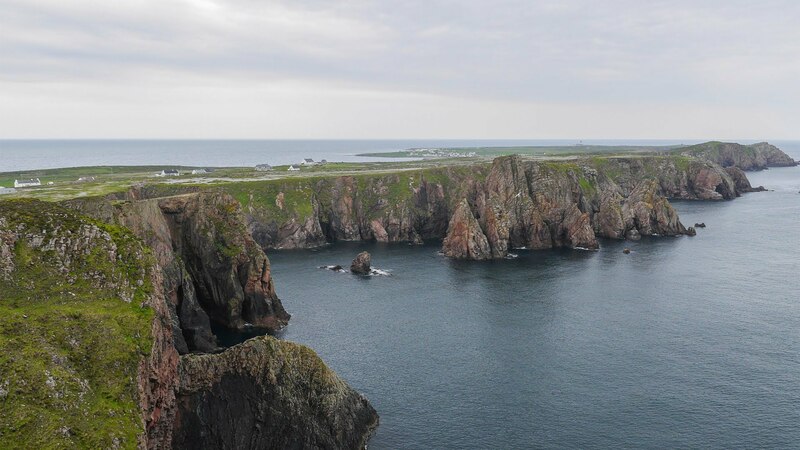 Tory Island’s rich history begins with early Irish mythology, in which a reference is made to Tory as the stronghold of the Fomorian people, a semi-divine race believed to have inhabited the country in ancient times. 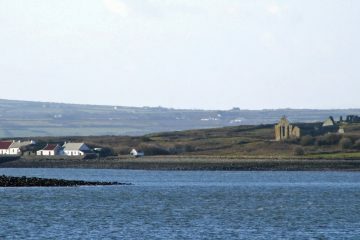 Relatively more recently, an early Christian monastery was founded on the island in the sixth century by Colmcille. Its iconic bell tower survives to this day, inspiring islanders in recent years to erect a statue of Colmcille in honour of their beloved saint. Given this fascinating heritage, it’s no surprise that creative types are drawn to the island. Today, a talented community of painters and artists reside here, showcasing an impressive body of work in their own gallery,Gailearaí Dixon. The artists, and indeed all the islanders, are led by a locally-elected king – fellow artistPatsy Dan Rodgers. An original member of the island’s School of Art in the 1960s, Patsy’s patron was the late, great artist Derek Hill. A charismatic character, Patsy personally welcomes visitors to Tory, heading down to the island’s pier as ferries arrive. Last year saw a huge amount of visitors make the trip across the Atlantic. "As King of Tory I personally welcomed roughly 17,000 people on the pier from the beginning of April to the end of September,” he says. “I would like to invite many more to come and visit, to come out and see the high cliffs, our culture, our dancing, our music and our singing.” When pressed for his favourite part of his beloved island, Patsy finds it tough to choose. “Oh Lord,” he laughs. 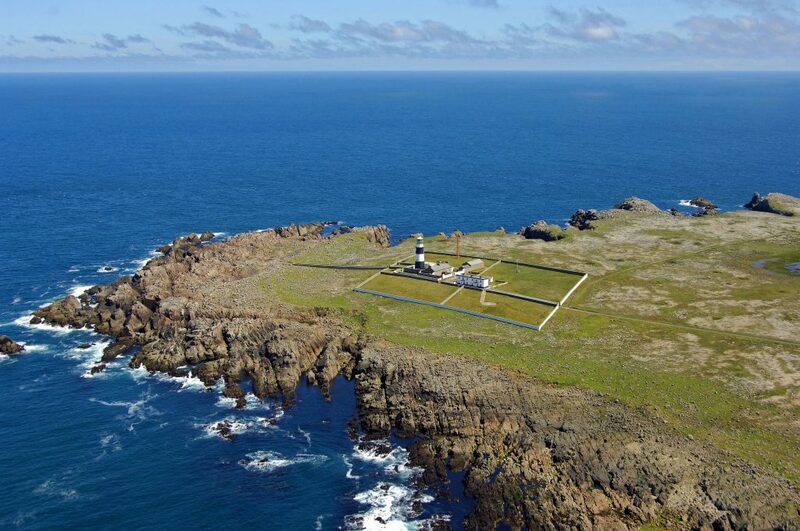 “Well, all the island is my favourite of course, but (it's) the lighthouse and our little chapel, and really the history itself – the history of Tory and Colmcille."